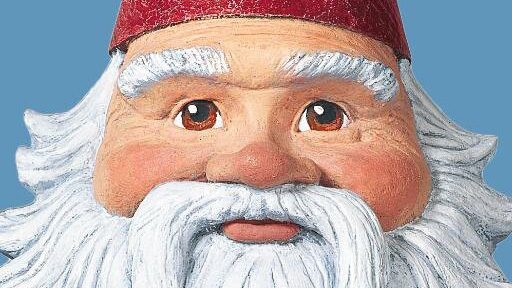 Less than three months after Travelocity announced plans to part ways with the agency that created its now iconic Roaming Gnome, the online travel service named Campbell Ewald as its new agency of record after a competitive review. The gnome literally arrived along with the new account. Executives from the Dallas-based company flew all the way to Detroit—gnome in hand—to break the news to the winning agency. Campbell Ewald CEO Jim Palmer told Adweek, "They called and wanted to inform the agency in person, so the leadership of Travelocity flew here. We put together a luncheon under a fake reason, and they showed up and delivered the gnome in person before addressing our agency." Palmer said it was the first time in his career he'd experienced anything like it. "How often are you surprised in this world?" he said. According to Palmer, agency employees were ecstatic when "[Travelocity executives] walked up holding the gnome, and everyone knew what they were here for." The ensuing meeting was simulcast, so employees in Campbell Ewald's Los Angeles office could experience it in real time. Palmer claims he still has no idea which agencies competed against his for the business, telling Adweek, "We knew we had some competitors, but they did not share them. And we did not ask." Travelocity conducted the review on its own without any outside consultants. Palmer said, "After the oral presentations, they followed with a set of questions that were extremely challenging, and we had to produce a 45-page response in one day." The Detroit-based shop, which operates independently within IPG's Mullen Lowe Group, will handle a range of work including creative and production duties to shape what Palmer calls "an integrated brand experience." The CEO confirmed that the gnome will indeed appear in future campaigns, which could debut before the end of the year. Los Angeles-based executive creative director Jo Shoesmith, who joined Campbell Ewald earlier this year after spending more than 15 years with the Leo Burnett organization, will lead creative on the account. Travelocity had an on-again-off-again relationship with its former AOR, McKinney, over a period of more than a decade. The Cheil Worldwide shop won the business in 2003 and proceeded to create the character that came to define Travelocity in pop culture before the account shifted to Leo Burnett and Razorfish in 2010 and then back to McKinney two years later (this time without a formal review). The win marks the third for Campbell Ewald since it "unbundled" from the larger Lowe and Partners organization in May; the agency subsequently won pitches for Detroit's Henry Ford Health System and a $150 million contract for health insurance exchange Covered California. The new accounts will at least partially make up for the shop's recent loss of both Cadillac (to Publicis Worldwide) and the U.S. Navy (to Young & Rubicam). Travelocity vp and gm Brad Wilson said, "While clearly communicating a brand promise is important in every industry, it is even more critical in the crowded online travel space. With our brand message, we want to reinforce that Travelocity is a trusted companion for travelers, and we are excited to be working with Campbell Ewald as we inspire people to explore the world and find new experiences through travel." The client spent $29 million on measured media in 2014, according to Kantar Media.